We all know that CPT Codes change vastly and frequently over the different specialities. Also, it’s important to consider your geographic location as the rules and regulations can change from State to State and even region to region so that is one thing to keep in mind. Today we’re going to focus on the Behavior Health Industry to simplify a few things. A trend that I’ve been seeing is a decrease in the use of CPT Code H2017 (Community Based Rehabilitation Services/CBRS) in the state of Idaho. In the state of Idaho they have been pushing for patients to go through counseling first, and then let CBRS compliment the counseling services, or attempt to try that second. Five (5) years ago, the trend was actually the opposite. The focus was on CBRS, and then counseling would be compliment the CBRS. health and medical communities. 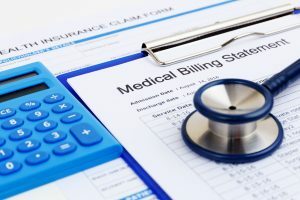 Since 2004 HCDS has worked with start-up practices that were in need of a billing and collection solution, as well as existing practices looking to improve cash flow, collection rates, and accounts receivable. We knew Mr. Braatz would be the one to ask which were the most used CPT Codes in 2017. He said “The CPT Codes that we continue to see frequently are the 90834, 90791, and 90837.” All three of these codes revolve around counseling. I’m sure these codes have become more popular over the last few years, due to what was stated previously in this article. Also let’s point out that Mr. Braatz is located in Wisconsin and his company, HealthCare Data Systems primarily focuses on Wisconsin, and the surrounding areas of the state. Another observation that we’d like to point out is with technology advancing as each year goes by, we can anticipate rules and regulations to loosen up with the telehealth services. When that happens, you will most likely start seeing modifiers for counseling sessions start to be on the rise.